Overview A series of water features built into soap sculptures that are activated when they hear nearby conversations. As part of the larger Common Ground project by Something & Son. As part of the Common Ground installation at Tate Britain, we were asked to build the inner workings for four speech reactive water features. The water features were built inside soap sculptures, with each sculpture incorporating four water outlets which opened and closed based on conversations in the surrounding area. When the sculpture detected speech it would open internal valves to control the flow of water which, over time, would erode parts of the sculpture, leaving a visible record of how people conversed in the space over the duration of the installation. The sculptures used microphone arrays and custom speech recognition software to determine whether the sounds it heard was speech. The direction from which the speech was detected would determine which valves should be opened. A Common Ground transforms Tate Britain’s front lawns into a working garden for the stomach, soul and society. 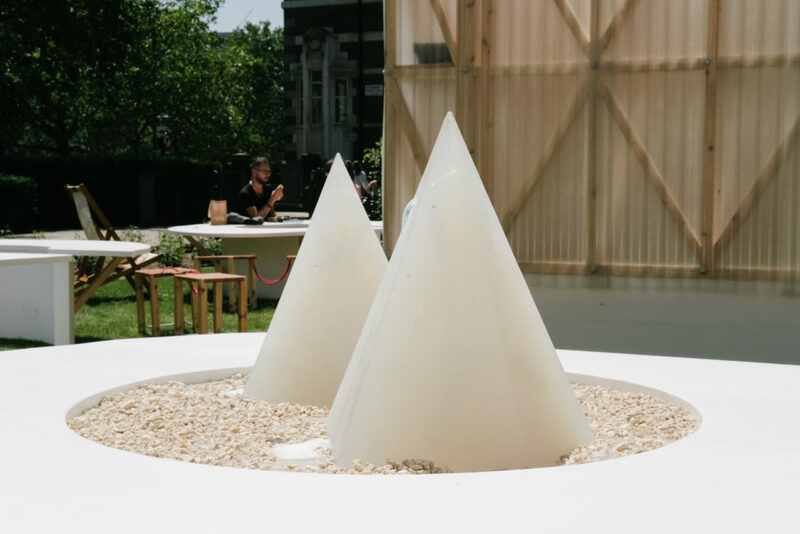 Using sensors, voice recognition and sculptures, the garden is designed to instigate sociability – talking will trigger fountains to flow and metaphorically sustain the life of the garden and structures will gently shepherd people together. The aim is to make you feel at ease and to encourage conversation, eye contact and connections with strangers. The garden is addressing the modern epidemic of loneliness.